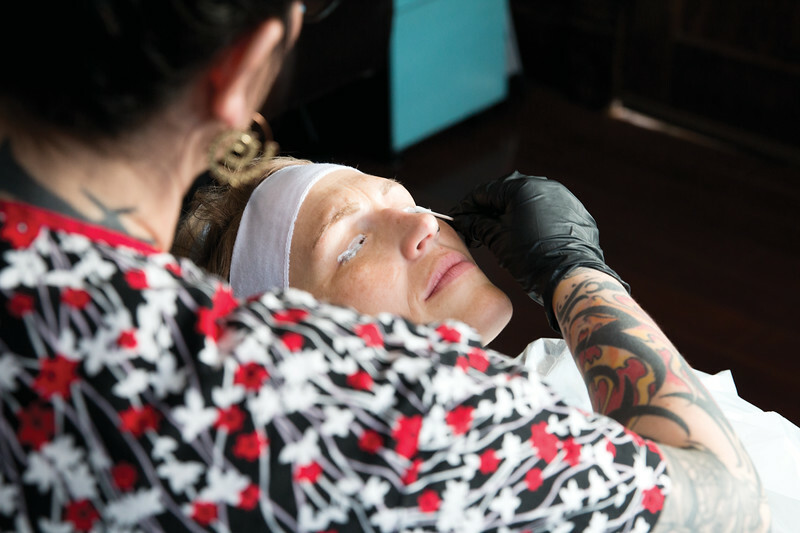 Kyan Sanderson receives an eye lash enhancement from Paige Pozos, owner and instructor, at Forever Flawless Friday, Oct. 19, 2018. 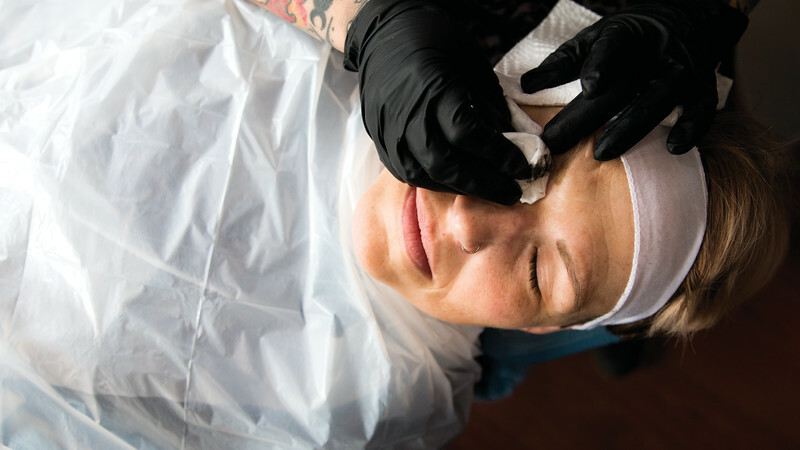 Paige Pozos, owner and instructor at Forever Flawless, preforms a minor clean-up on a healed micro shaded eyebrow tattoo for Kyan Sanderson Friday, Oct. 19, 2018. Paige Pozos uses eye drops to moisturize Kyan Sanderson’s eyes before applying a numbing agent to make Sanderson more comfortable during the eye lash enhancement process Friday, Oct. 19, 2018. 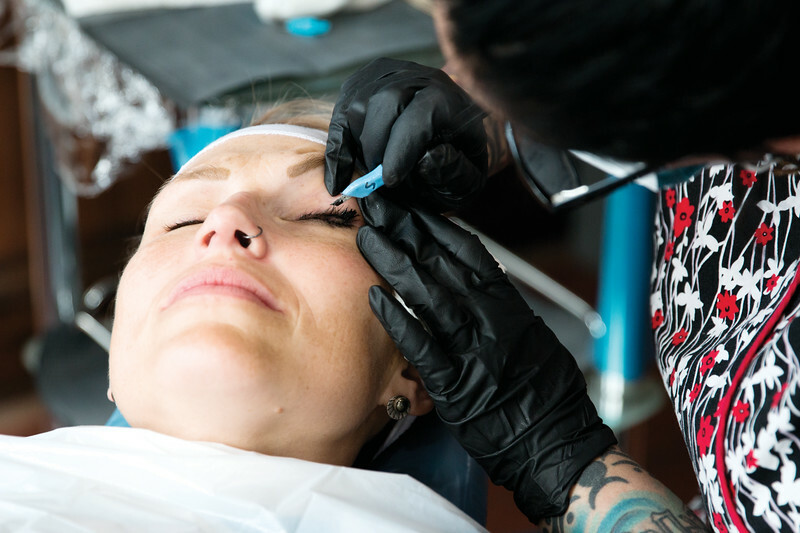 After the first pass with the needles, another, stronger numbing agent is applied to Kyan Sanderson’s eyelids that is most effective when the skin has been opened. Paife Pozos use this numbing agent to prevent bleeding as well as to make Sanderson more comfortable Friday, Oct. 19, 2018. 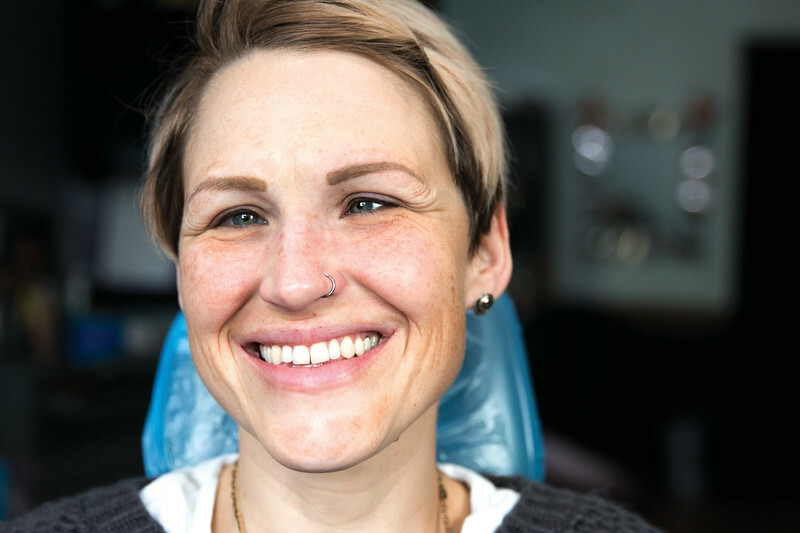 After a 15 minutes, the second numbing agent is thoroughly rinsed and cleaned and the cosmetic tattooing begins Friday, Oct. 19, 2018. 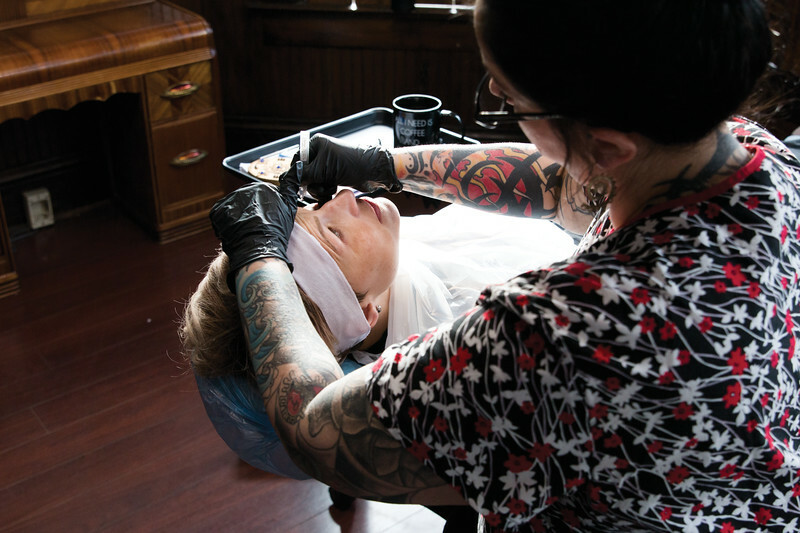 For cosmetic tattoos, Paige Pozos, uses the Japanese method of Tebori. Tebori is the practice of hand poking the tattoo as seen here. 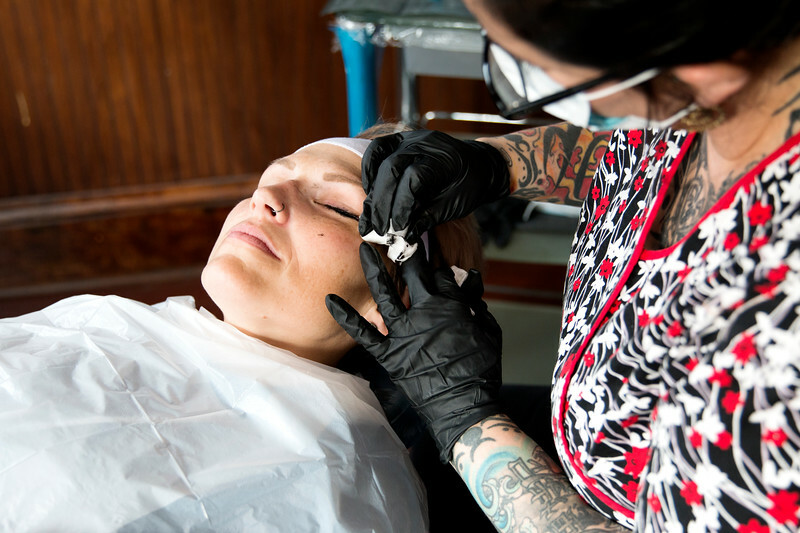 Pozos is also a licensed instructor for cosmetic tattooing, She teaches and tattoos in Sheridan, Gillette and Cheyenne. Friday, Oct. 19, 2018. Paige Pozos rinses and wipes away any residual ink from Kyan Sanderson’s eyes. Friday, Oct. 19, 2018. Paige Pozos makes the final pass on Kyan Sanderson’s left eye, ensuring that there are no inconsistencies on the eye lash enhancement Friday, Oct. 19, 2018. 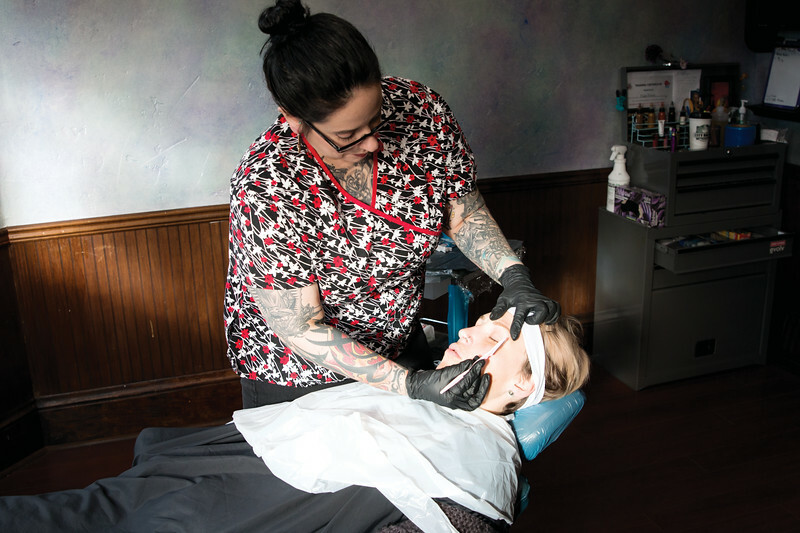 Paige Pozos rinses and wipes away any residual ink from Kyan Sanderson’s eyes to reveal the finished eye lash enhancement Friday, Oct. 19, 2018. Kyan Sanderson poses for a photo to show off the finished eye enhancement tattoo Friday, Oct. 19, 2018.